New for this Year! A great gift opportunity for anybody at any time! Give the gift that shows you really care. The YMCA of Greater Montgomery is a leading voice on health and well-being. With a mission centered on balance, the Y brings families closer together, encourages good health and fosters connections through fitness, sports, fun and shared interests. As a leading nonprofit that helps the community to be healthy, connected and secure, the Y makes an incredible impact on improving America’s health every day. When you give a Y Gift Card, you too can make a meaningful, enduring impact on someone’s health and help them live a better, healthier life. So, show that you really care. Give the gift of health. 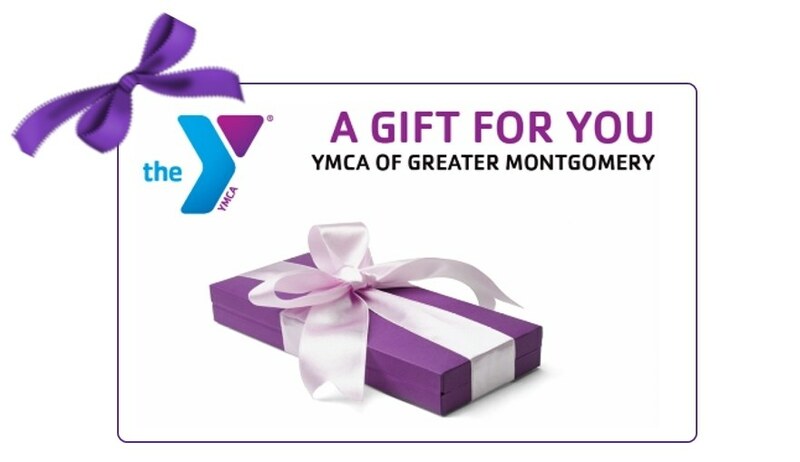 Give a YMCA of Greater Montgomery Gift Card today. Available in the amount of your choice, a Gift of Health Gift Card can be redeemed for any Y program or service, or even a membership. Y gift cards never expire and have no hidden fees. Make shopping easy this year and surprise your friends and family with a gift that lets them choose what they really want. Visit your nearest Y today to purchase the Gift of Health Gift Card.